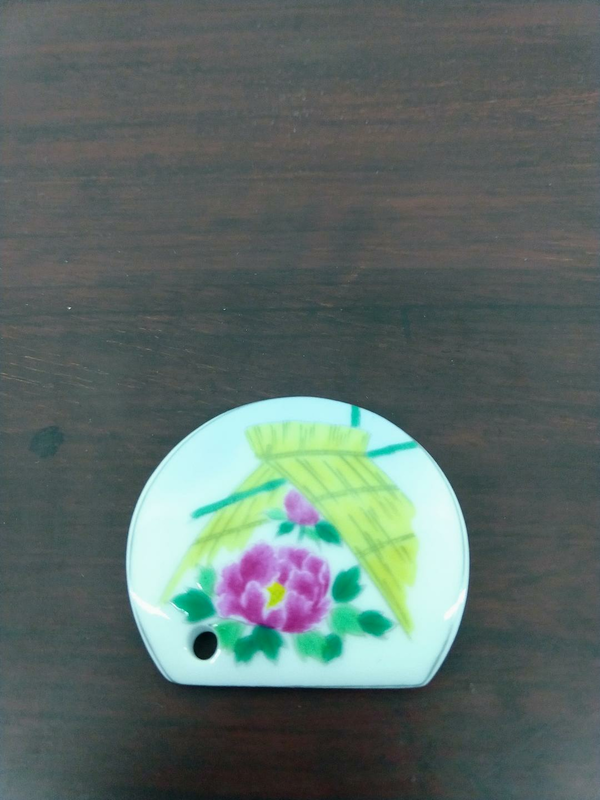 Small ceramic incense holder with peony. Place on hard surface to catch ashes. size 1 5.8" X 1 3/8".